We use on the one hand various composite propellers from suppliers in Europe and in 2015 we started our own production of wooden propellers in Switzerland. Wood is a regrowing resource, which we have in best quality and quantity in our forests. It has extraordinary good characteristics when we talk about noise emissions in comparison with performance. They also absorb better vibrations of the engine than composite propellers. This fact lets your engine live longer and reduces the negative influences on the nature and the environment in general. 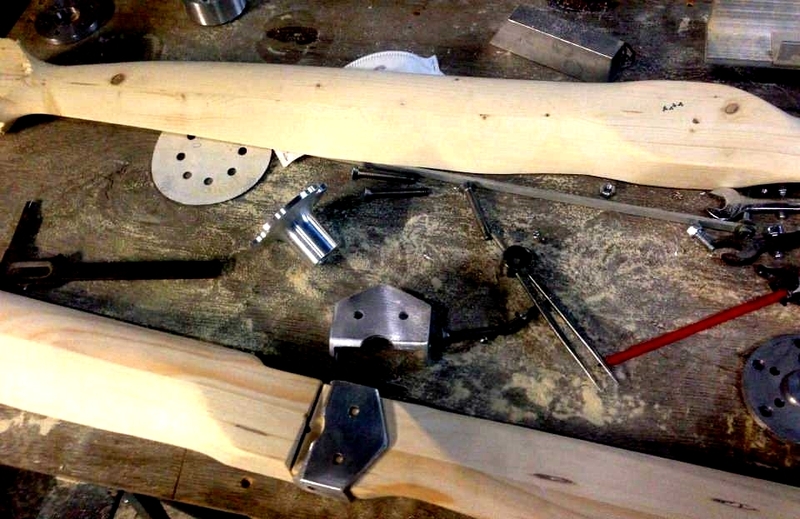 We decided to manufacture our wooden propellers only from trees, which grow in Switzerland (eg. spruce, pine, poplar). That gives short transport distances and we can prove anytime the quality. We work only with known wood suppliers. Only so we can be sure, that the preparation and the selection of the wood correspond to the highest standards. 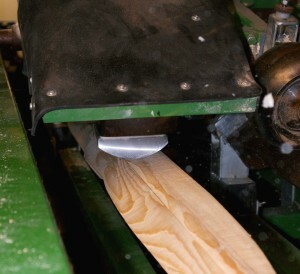 We buy our wood directly from the sawmill, where it was previously dried, expertly tailored and planed. 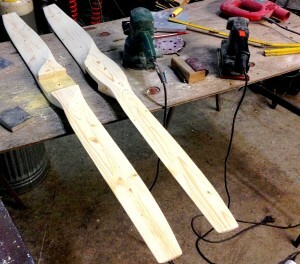 Afterwards, we select the best quality wood for our propellers. 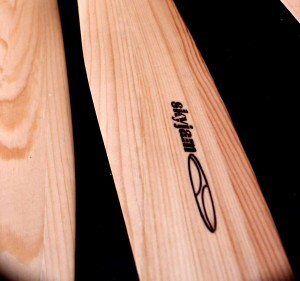 Why softwood like spruce, pin and poplar? These fast growing trees are softwoods, which makes them at first glance not to be suitable for the propeller production. But experience has shown, that the softwood is in the terms of weight, vibration absorption, noise emission and impact resistance without equal. 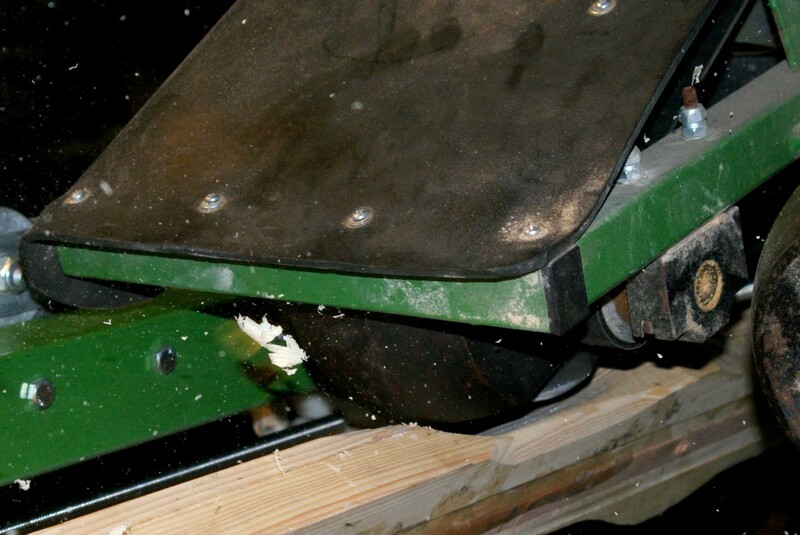 After the preparation in the sawmill, we glue and press the boards in minimum three layers in our workshop. The elaboration of the right shape and the precisely calculated angle of attack makes a large milling machine. The final sanding, painting and balancing are done with a lot of experience by hand. For reasons of environment, we use glues and paints exclusively water-based. For whom are Skyjam propellers suitable? Through continuous improvement of production processes, we keep the quality high and the price acceptable. The Skyjam wooden propellers are perfect all kind of pilots, who need sometimes a spare propeller and of course for paramotor schools.